Written by the leading experts in cardiology and integrative medicine, this practical resource delivers a critical and balanced assessment of the evidence for complementary alternative medicine (CAM) approaches and their use in conjunction with traditional therapies. 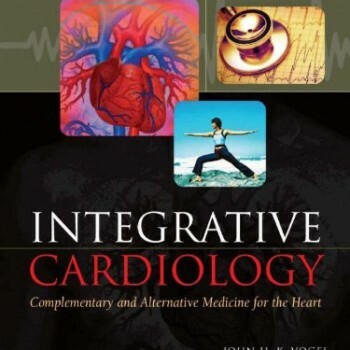 "This comprehensive manual of integrative cardiology will appeal to healthcare practitioners at all levels. Anyone interested in the field of integrative medicine can learn a great deal from this work. It is loaded with information that is useful for all levels of healthcare workers, ranging from the student to the individual trying to establish his or her own cardiac program in CAM. The end product is an authoritative work written by experts in their fields that successfully covers information relevant to a broad spectrum of healthcare providers....This thorough review of CAM as it applies to the field of cardiovascular medicine provides an authoritative introduction. The authors and editors articulately summarize the facts about complementary cardiovascular medicine so that physicians can confidently and knowledgeably advise their patients. 3 Stars."